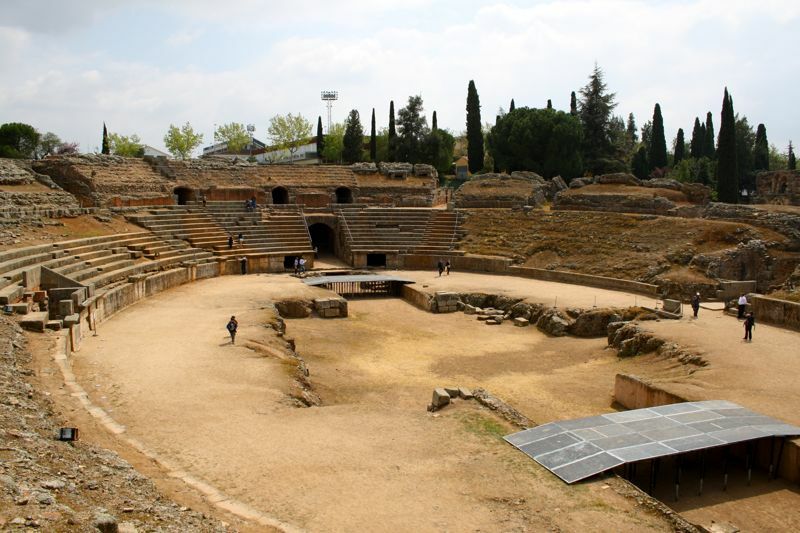 Mérida, Spain is another destination in Extremadura that far surpassed my expectations. The city itself is underwhelming—its 40,000 residents make due with their rather run-down city center. 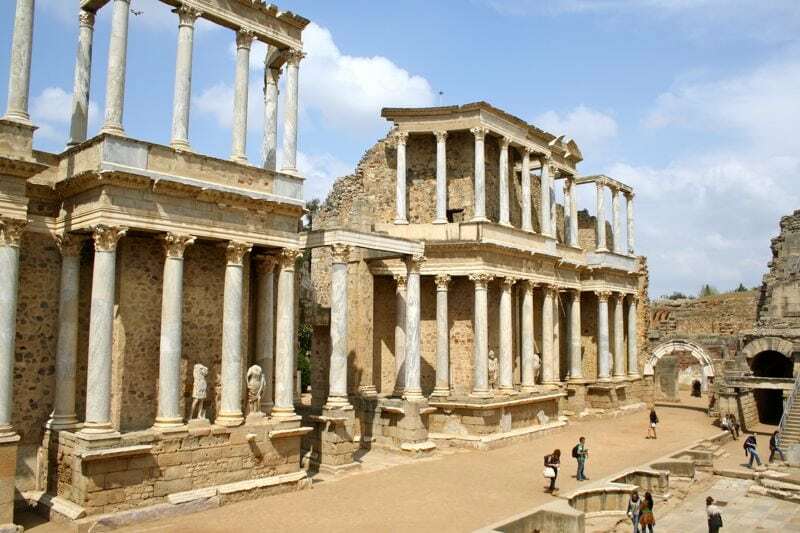 But when you imagine ancient Mérida (Augusta Emérita), the capitol of the Roman province Lusitania and one of the Roman Empire’s most important cities, you begin to understand the significance of what Mérida has to offer today. 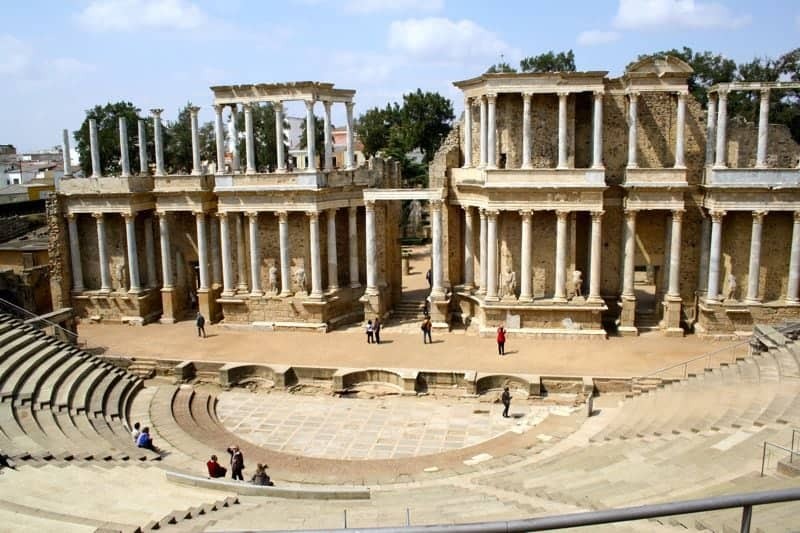 Like Cáceres and Trujillo, Mérida is full of history and ancient architecture—it has more Roman monuments than any other city in Spain. 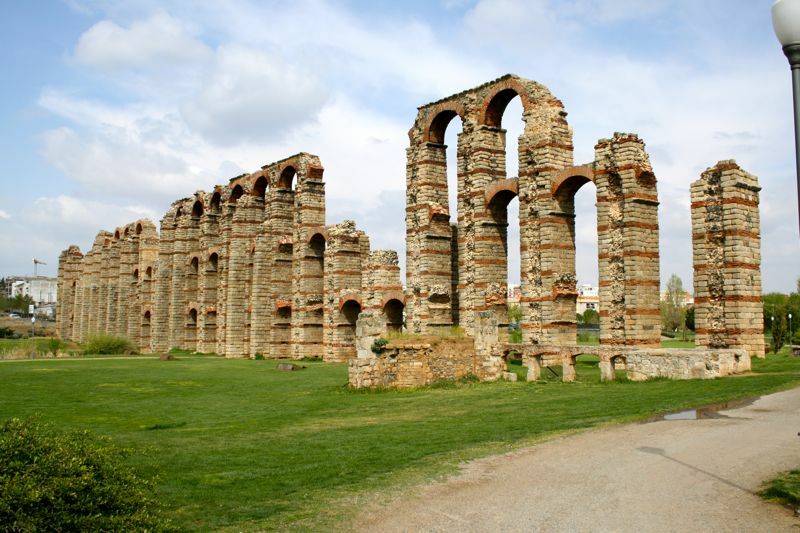 I was surprised to learn this, as I had no idea that only 2 hours from Seville (my former city) and 3.5 hours from Madrid I could see such incredibly well preserved Roman ruins— rivaling the ruins in Rome in their magnificence. After visiting Rome various times, I thought I’d seen enough Roman ruins to last a lifetime! But the ruins in Mérida were amazingly well preserved and practically tourist free. 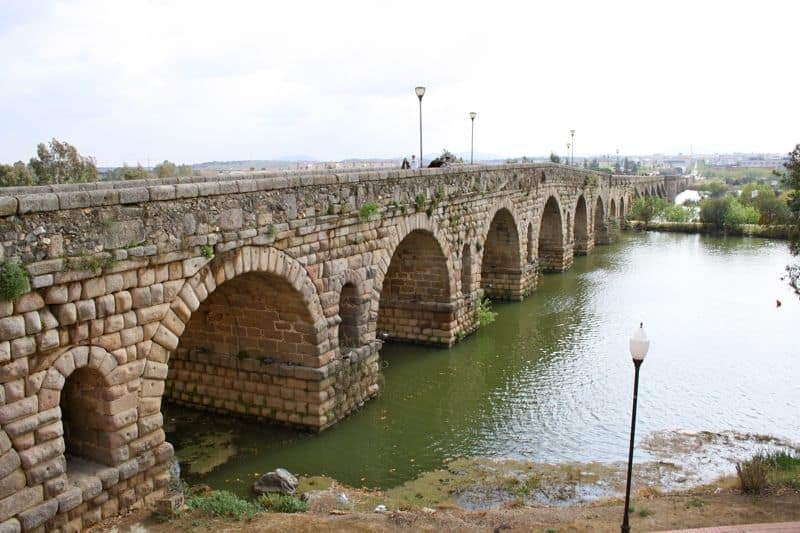 For a good example, just take a look at the Puente Romano (Roman Bridge). 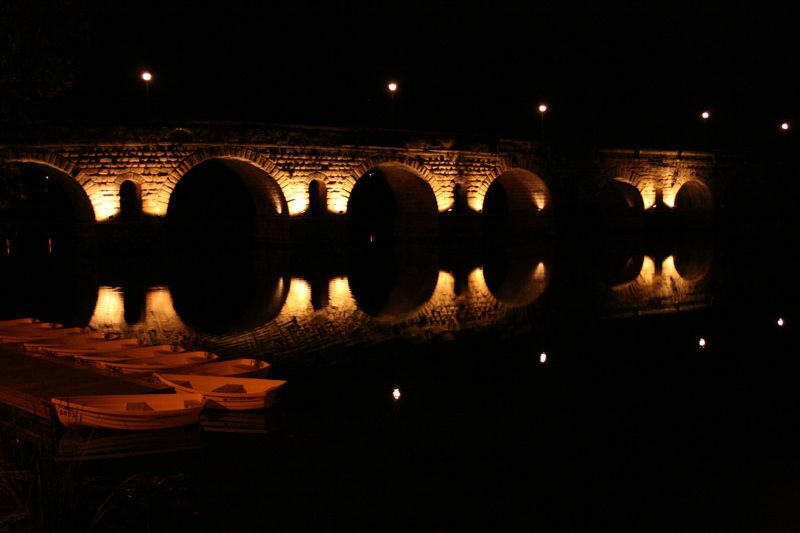 Mérida’s Puente Romano is a 2,000 year old Roman bridge that looks as if it could have been constructed recently! It is the longest (790 meters) and longest surviving bridge from Roman times. We started our self-guided tour at the Roman Amphitheatre. A UNESCO World Heritage Site since 1993, the Amphitheatre once hosted gladiatorial combats. I liked how half of the monument was restored, to show how it must have really looked in Roman times, while the other part was left alone. Walking into Mérida’s Roman theater is incredible. It is absolutely gorgeous, extremely well-preserved, and simply immense. 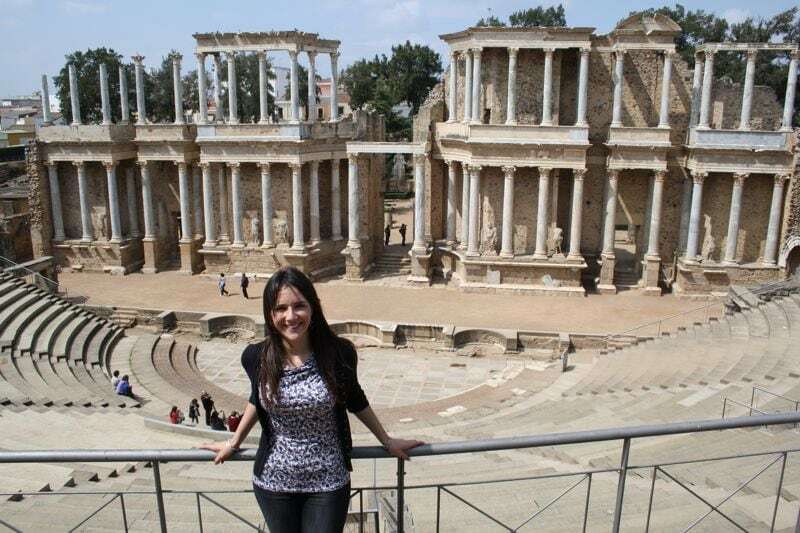 I am hoping to return to Mérida this summer to see a theater performance at the Mérida Roman Theater Summer Festival. As a functioning theater, it is supposedly the only Roman monument that still serves its original function today! Me, taking in the Roman Theater! 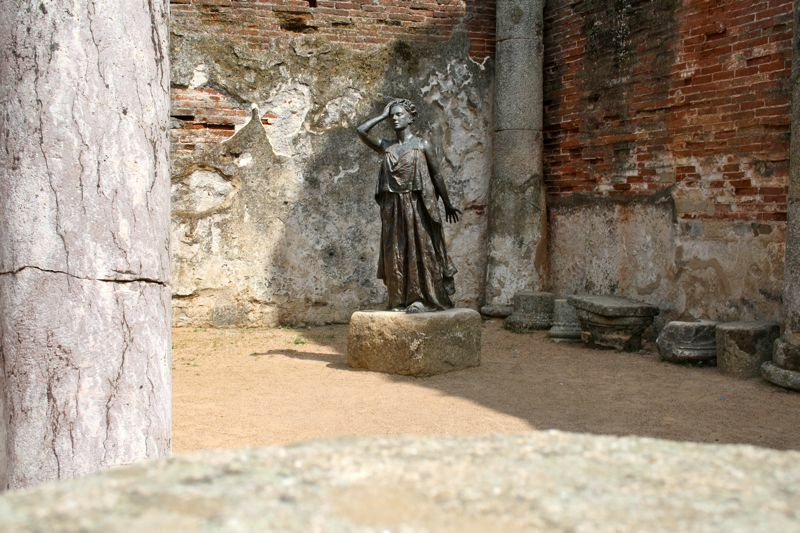 One of the statues in the theater's gardens. Only a small portion of the Acueducto de los Milagros (Miraculous Aqueduct) still remains intact today, but it is certainly enough to impress. The miracle, actually, is that any of it is left at all, as people used to take its stones to build other constructions around the city. The Alcazaba was a Muslim fortress that remains from Spain’s period of Moorish Rule. It was occupied by the Christians in 1230 when they took over the city. Inside, you can still see remains of the Roman baths, roads, shops, and dwellings. 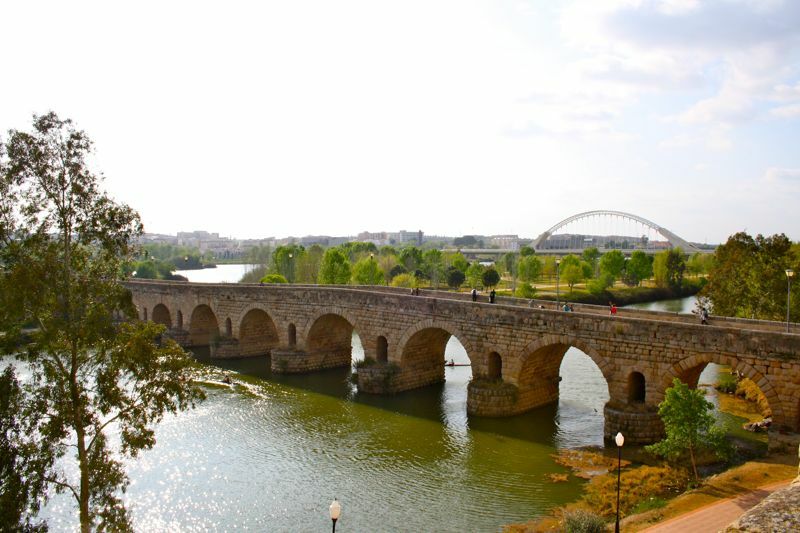 The views of the Puente Romano and the river from the Alcazaba’s outer walls cannot be missed. Ancient ruins in the Alcazaba. 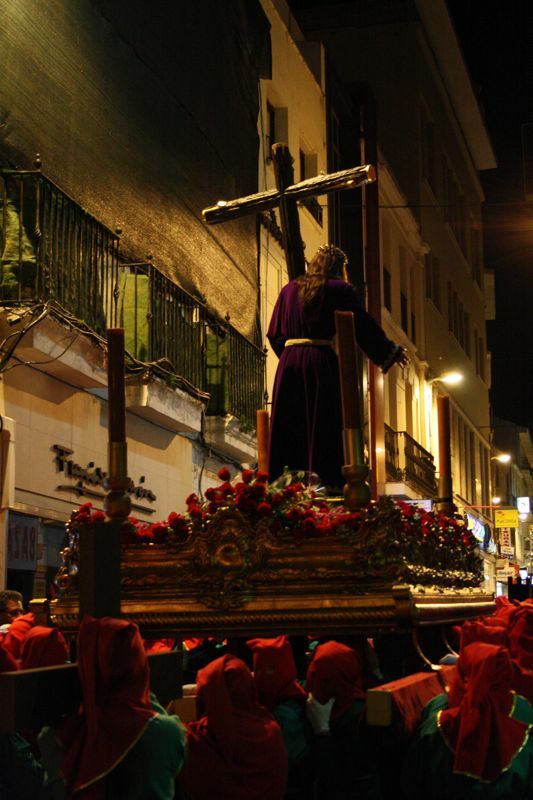 We were lucky to stumble on a Semana Santa procession after having dinner. Take a look at the deeply religious events. 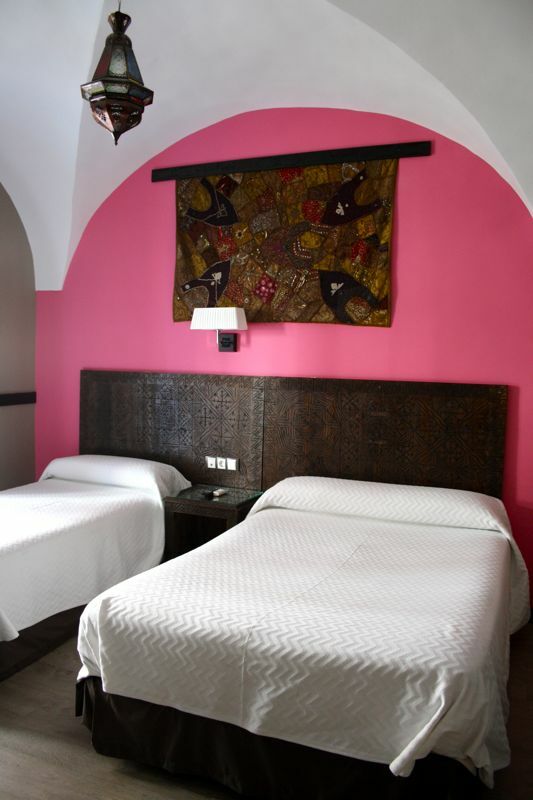 We highly recommend staying at the budget hotel La Flor de Al-Andalus. Only a 2 minute walk from the train station and within 15 minutes of all monuments, its location was ideal. The room was comfortable, there was free wireless internet, and a helpful staff. I wouldn’t pay extra for the breakfast—there are plenty of better choices nearby. Our comfy and cute hotel room. 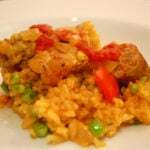 Mérida doesn’t have many restaurants to choose from, and most are mediocre. This place is far from fine dining—but they do their own thing and they do it well. 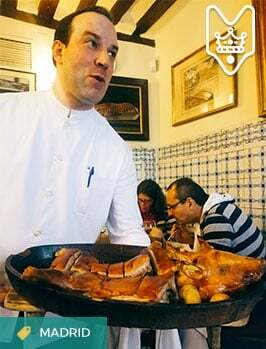 La Dehesa de Castúo is actually a shop filled with regional foods from Extremadura. However, the bar and small patio restaurant offer about 100 different toasts, each with different hot and cold toppings. 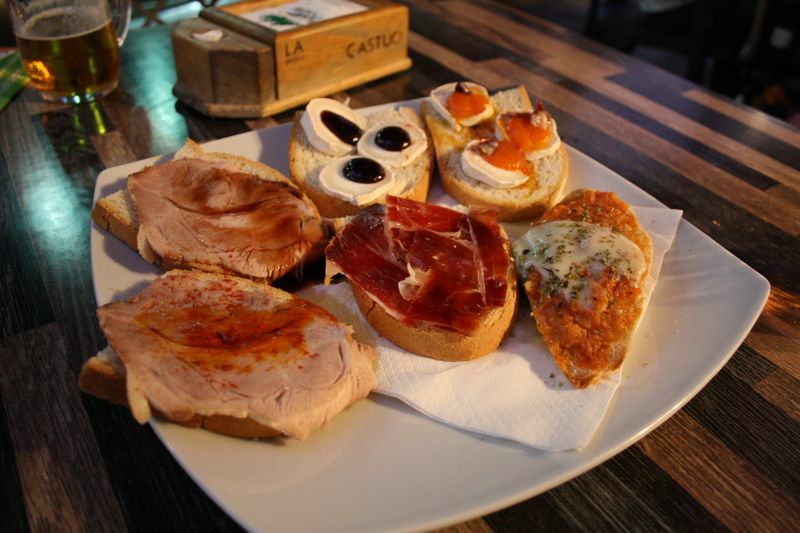 The toppings (most of which are sold in the store) are superb, ranging from Iberian Ham to Smoked Cod and Barbate Tuna. Delicious toasts and beer for dinner. 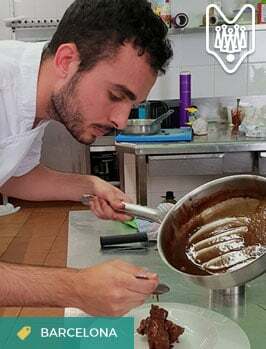 Overall, Mérida was a pleasant surprise, and really enforced my opinion that Extremadura (and many parts of Spain) don’t know how to market themselves! While this is great for me as a tourist (no lines, better deals, no random people in my pictures…), I think it is a shame that Spaniards are suffering a horrible recession while perhaps tourism holds an answer. I mean, if you are teaching English in Spain and have 500€ for a vacation— do you choose 2 days in Rome or a week in Extremadura? Probably Extremadura if you know it exists! What do you think? Is Spain making the most of its tourism potential? Alfonso is from Mérida, and he invited me one rainy, nasty weekend to visit with him and Christene. I was floored with the gorgeous ruins and highly recommend the archealogy museu, too. We went on a holiday, which made it free, and they’ve preserved so many of the artifacts found. And, yes, totally agreed on the mediocre food. 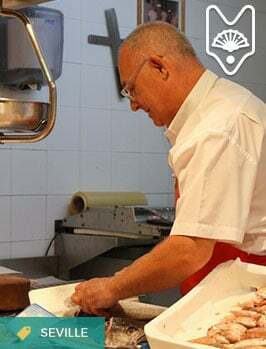 Luckily, we had Petri to cook for us! I spent one week in Merida, the city has an interesting charm, small, friendly and everything is within walking distance try to go either in Spring or Autumn for it is too hot in the summer. 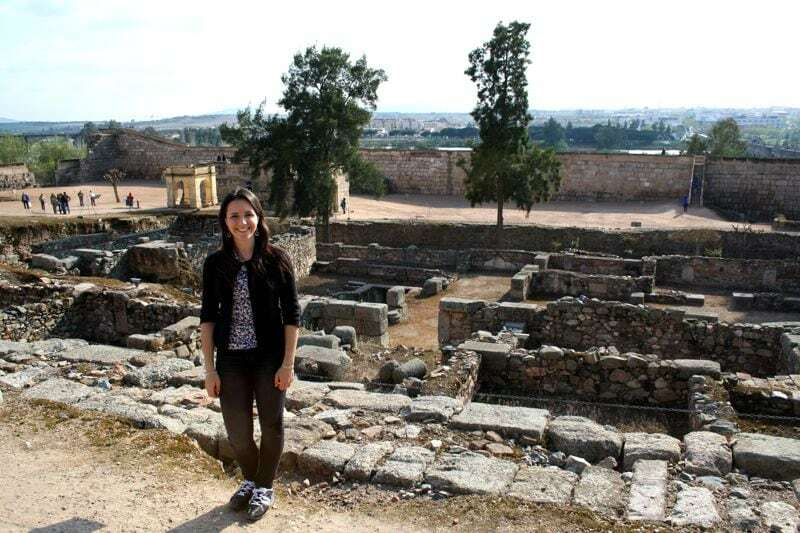 Nevertheless the most impressive aspect about this city is its Roman Ruins, not only the Temple, and both Amphitheater and theatre but also the Circus Maximus, Necropolis and many other remains throughout the city. The Roman Museum of Roman Art is also a must see for you will not be disappointed. If you go to Seville make sure to pay Merida a visit two hours away, Merida is very laid back and you will not find the place overwhelming. Merida has plenty of Hotels, bars and restaurants, it’s not far from Salamanca or Madrid either. 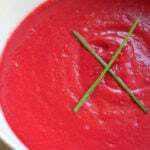 Too bad you did not find Restaurante Rex Numitor. Had one of the best meals ever, anywhere. 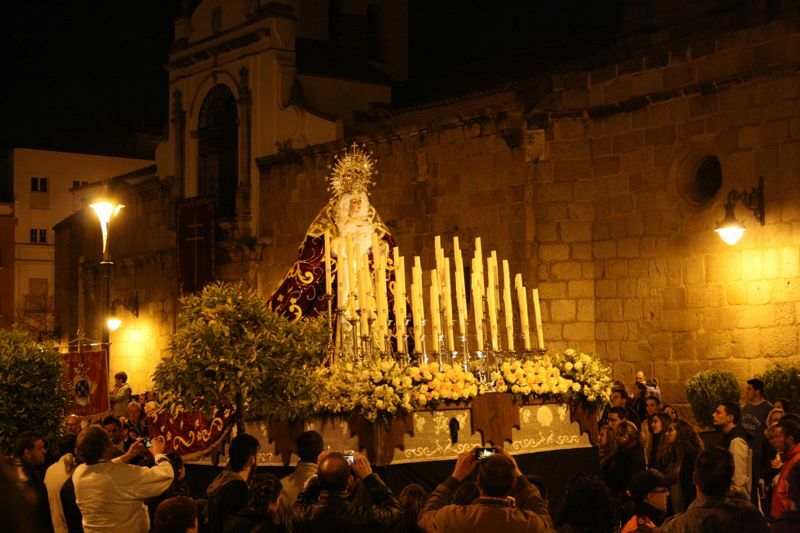 If I only have two days, which two cities out of Cáceres, Trujillo, Merida would be recommend? So tricky! All are awesome – I would try to squeeze them all in (as you can see Trujillo in a few hours, and Mérida too). Mérida is awesome Roman ruins without the crowds, but the city itself isn’t too pretty. Caceres is a gorgeous historic city center that makes you feel like you’ve gone back in time, and Trujillo is similar but smaller. Hope this helps a bit!